It’s winter time now and snow is on the ground, but as I drive by our local Little League® field, I can envision the kids cheering from the dugouts and putting on their batting helmets to step up to the plate. This will be my son’s last year of Little League. He loved baseball from the start, and it felt like forever until he was old enough for Tee Ball. It was clear from that first year that he was naturally better than many kids his age. In those early years, I desperately wanted him to play with other kids that I thought were at his skill level, which often meant seeing if he could “play up.” I rolled my eyes at the kids on his team who couldn’t catch or throw and those who didn’t even know how to run the bases. I dreamed of him playing in the highest division of Little League where coaches would care about wins and kids would know how to turn a double play. Somewhere along the way, though, I realized that playing up involved skill and maturity. We held him back a year from the Majors at age 10. After being the youngest kid on every team, he needed the confidence boost. That year, he was a leader on the team, a role he hadn’t been able to take on before. That year, his team also won the league and our City Series. He brought home two huge trophies and so many memories. Yet still, I couldn’t wait for him to finally be in the Majors. Last spring, his first year in the Majors, went by so fast it didn’t feel real. This was what I’d been waiting all these years for, and in a matter of weeks it was over. There will be nothing quite as magical as Little League. Soon the season will start again and he will play Little League for the last time. It won’t be his last season of baseball, but it will be his last season of a magical time where kids from the neighborhood play on their hometown fields, kids drop balls in the outfield, kids make amazing catches at shortstop, and they high-five and run the bases at the end of the game, win or lose, just for fun. Which leaves me to ask, why was I in such a rush? Why did I only look forward? Did I look out at him playing and just take in the moment? My daughter will play in her second year of farm league this spring. All around me, I will hear the chatter of the parents who want their kids to move up, who shake their head at those dropped balls and bungled plays. I was once one of them, and I don’t think they’d listen if I told them what I know now. I wouldn’t have listened. But I know I will be sitting back in the stands and savoring every moment of each stage of Little League. Don’t rush it, don’t push it, and don’t press fast-forward. Just sit back and watch your kid play. And if someone asks me why I’m not gunning for my daughter to cruise through the Little League ranks, my advice for those parents who were like me is to just enjoy every level of Little League and be confident that it’s right where your kid should be. Enjoy the gleeful run to first base in Tee Ball. Enjoy that first clean catch of a pop up in Farm League. Enjoy watching your child take the mound and miraculously get it over the plate in Minors. Enjoy the walk-off hit to win the game in Majors. 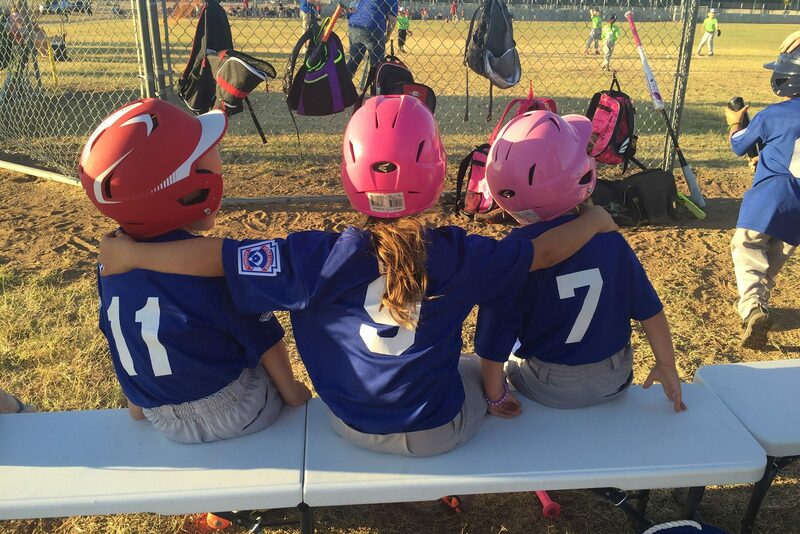 Enjoy every moment of Little League along with your kid because it will be over before you know it.